I did it . . . I've been nervous to make these after reading numerous articles about how temperamental they can be. But this morning, I decided "today is a good day to attempt macarons." So I did. 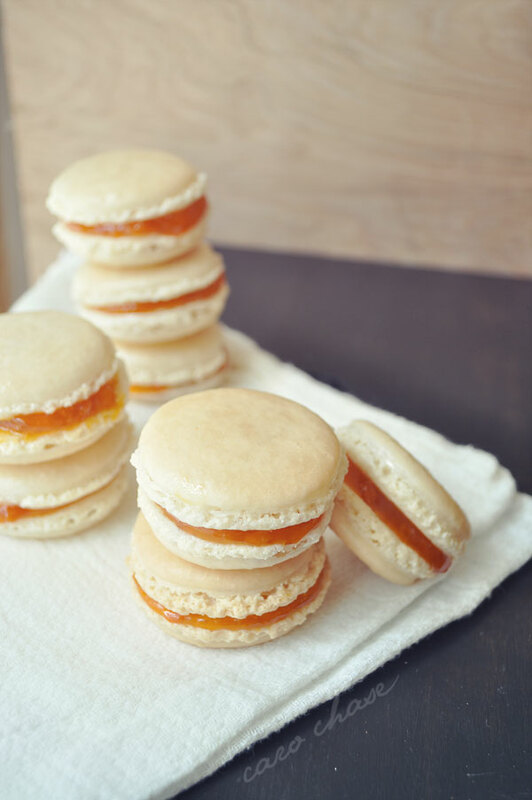 I used this as my guide and this basic recipe with apricot filling.